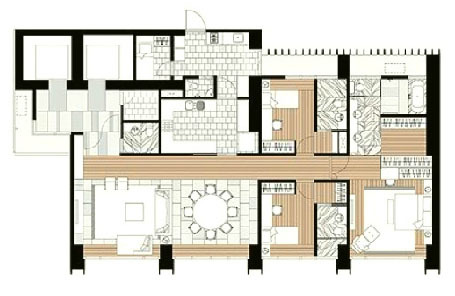 The 3 bedroom condo type D1 – at the met condominium in Sathorn, Bangkok – measures around 192 sq.m., and does not have any terrace or any balcony connected to the living room; Only an open, but small L-shaped balcony is accessible via the entrance hall. Amid the met condos of type D1 we find units with an open, American style kitchen as well as units with a closed, European style kitchen. 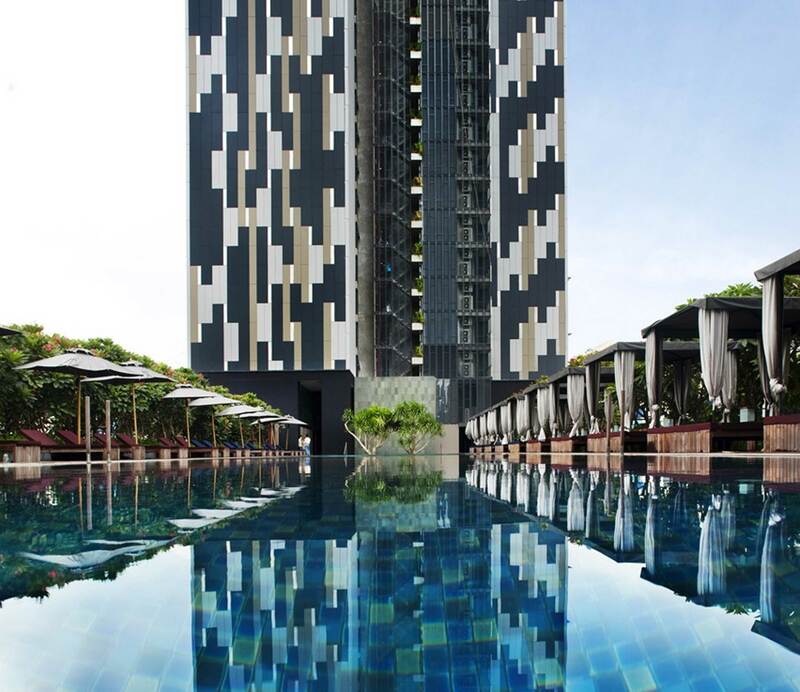 The 3 bedroom condo types D1 at the met Bangkok are only positioned on floors 48 until 63 of the high zone at 123 the met condominium at South Sathorn Road.